Mikeree Inc. locally owned and operated company, created by Mike Ree. 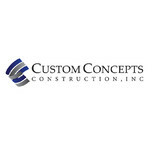 Mike Ree, have been working for siding contracting since 2000. And have made numerous contracts in last 8 years with home builders and homeowners. Contracted over thousands homes across VA to MD. Now, Mike Ree offers more values to remodeling business, not just siding, but windows, deck, gutter, roofing, and any exterior and interior. Mikeree Inc. values to home owners to get reasonable price and quality of works. Choosing us as your contractor will certainly save you a bundle. The decision about your projects and we would like to give you a estimate that can promise the job guarantee. The Vinyl Siding Institute, Inc. (VSI) works with manufacturers to ensure the quality of vinyl, insulated, and polypropylene siding through its VSI Product Certification Program. Through its "Design. Build, Live. No Limits." initiative, VSI educates homeowners, remodelers, builders, planners, architects, designers and other residential construction professionals about the many benefits of vinyl siding including, beauty, durability, low maintenance, sustainability performance and value. Exterior Medics is an award-winning family owned & operated exterior remodeling and home improvement company servicing Northern Virginia and Southern Maryland homes. With over 17 years of combined experience, the home improvement experts at Exterior Medics deliver quality workmanship, beautiful exterior designs, clear communication, and exceptional customer service to Virginia and Maryland homeowners and commercial residences. We provide enduring home-exterior solutions, and we stake our reputation on every project we do. From professional estimates and free in-home consultations, to project conception, design and completion, our focus is on 100% customer satisfaction from start to finish. 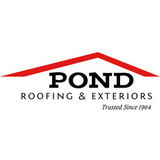 We are bonded and well-insured for your protection to provide you with peace of mind for your family and for your home. Explore our site at www.exteriormedics.com to see why so many of our neighbors select Exterior Medics as their home-improvement contractor solution. What types of siding services do Fairfax exterior contractors provide? Wood siding needs more maintenance than less-expensive, low-maintenance vinyl siding, but with proper care it will outlast vinyl siding, which can fade and crack over time. Your Fairfax, VA contractor might also suggest fiber cement siding, which is fire resistant and termite-proof and can come with a warranty of up to 50 years. 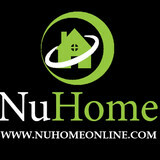 Find siding and exterior contractors in Fairfax, VA on Houzz. Narrow your search in the Professionals section to Fairfax, VA siding and exterior contractors. Find out how long a Fairfax, VA exterior remodeling contractor has been in business, view portfolios, read reviews and get contact information.